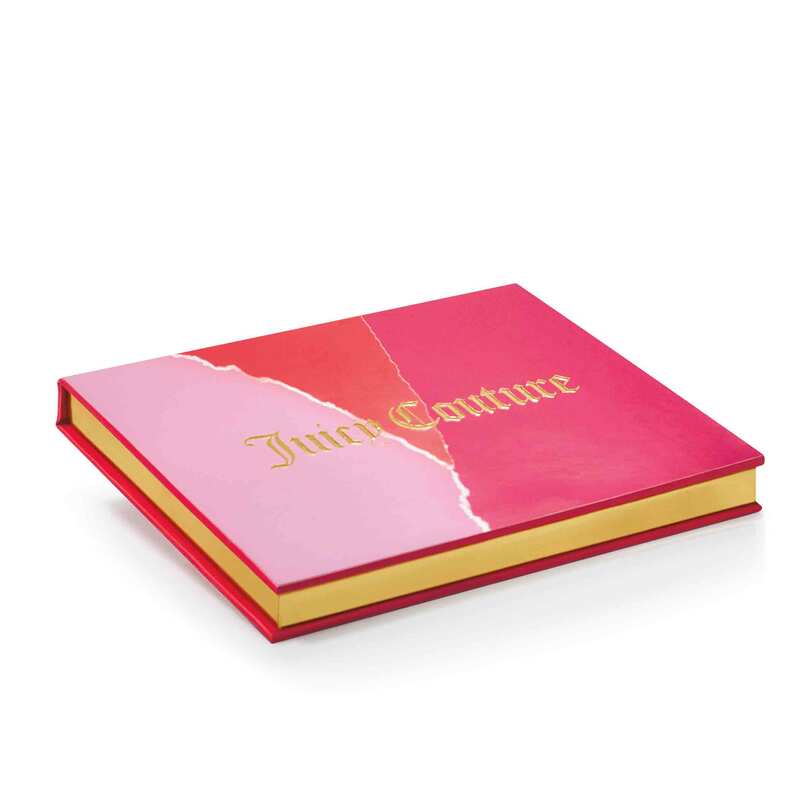 Juicy Couture The Shady Color Palette is rated 4.6 out of 5 by 33. Create your own statement-making effects with this spectrum of ten eyeshadows in a range of pinks, reds and unexpected blues. Plus a signature pink blush and sparkling highlighter. 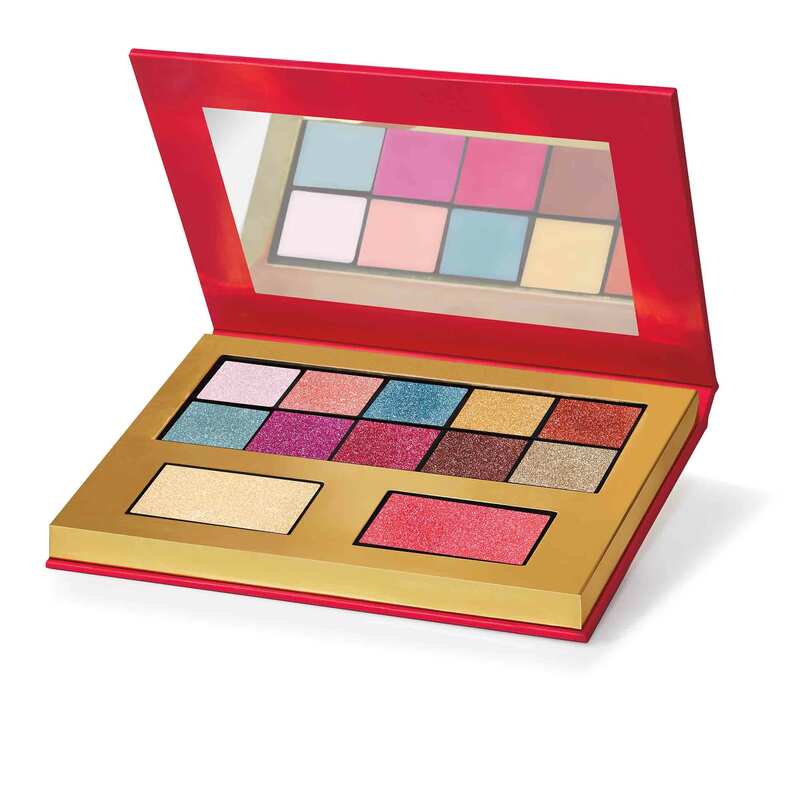 Rated 4 out of 5 by Court4440 from A Shiny New Palette This creative palette from Juicy Couture consists of 10 different eyeshadow shades, an illuminating highlighter and a blush all inside one palette. These colors are bold and shimmery and can create many eye stopping looks. You can also use a sponge tip or pointed brush and a bit of water to apply the eyeshadow as eyeliner for a bolder look while using it as regular eyeshadow as the base. The highlighter works well with this palette and creates a soft look. Overall I really enjoyed this combination. 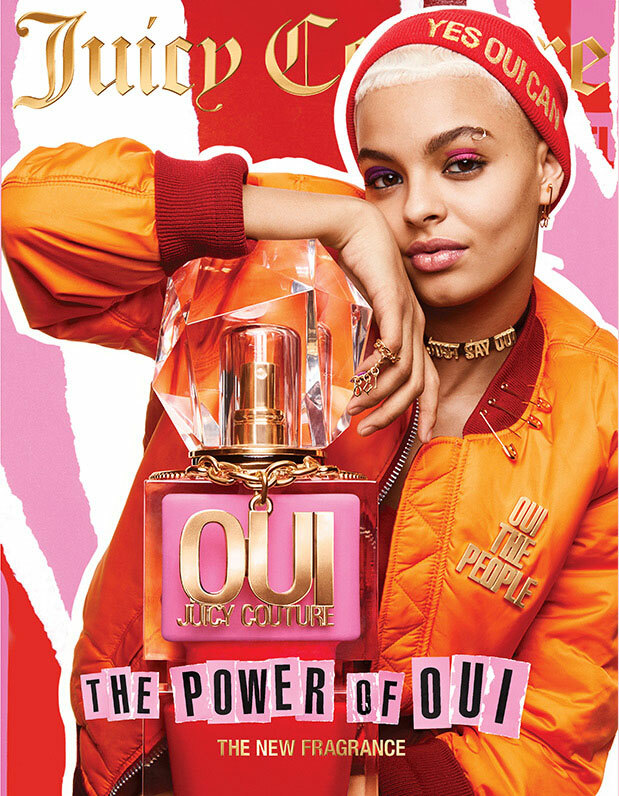 It's very fun and bold and adds alot of pop! I received this palette free to try in exchange for my honest review. These opinions are 100% my own. Rated 5 out of 5 by Elizabeth7 from The Ideal Palette This slim palette will get you through any day or evening event. The colors are highly pigmented so you only need to use a small amount. There was no run-off of the shimmer from the eye shadows after several hours. Check out my pictures to see the entire look using the top left shadow at the brown bone and the bottom second from left color on my lids. I also used the blush and highlighter. I didn't put on any eyeliner or mascara so you can see exactly how the eye shadows look. I like how the glitter is iridescent and not chunky at all. I would recommend this to anyone who wants a palette that is different from the standard ones that are available. I received this product as a gift in exchange for my honest review. Rated 5 out of 5 by CRE78 from Out of the box I received this Color Palette for free in exchange for my honest review. I would have never purchased this palette before trying it, but now that I have tried it, I am so glad I did! It pushed me out of my neutral eye shadow box. The colors are so bright and vivid, but don't look clownish or garish once they are on. I actually used q-tips to apply the shadows and blended with my finger. The shadow is very creamy and goes on pretty smoothly. I don't find it to be too heavy but has a nice sheen to it. Even after all day the shadow didn't crease or smear, and I did not use any type of primer or finishing spray. The colors are fun and different, and I would definitely recommend using this Color Palette. Rated 5 out of 5 by Slm4 from Colorful Sparkling Shadows This is the kind of palette I like to reach for when I want something fun and colorful. I love the mix of bright colors and metallics. The shadows are a mix of shimmer and glitter shades. The eyeshadows applied well both dry and for extra intensity, wet. 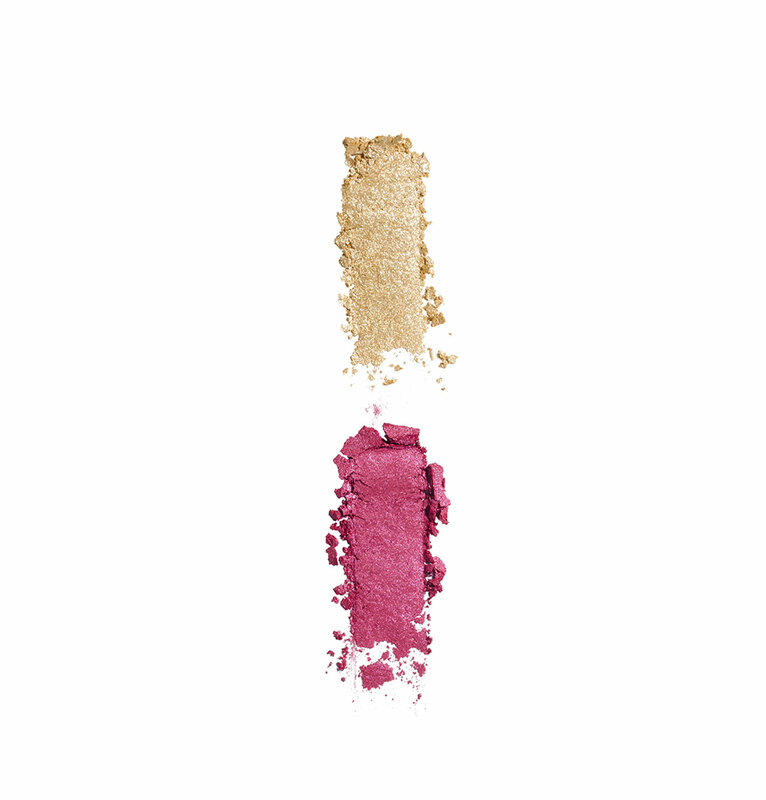 The blush is extremely pigmented and buttery. If you are very fair like I am, you'll want to use a light hand. The blush also makes a great shadow. The highlighter is pretty awesome, too. It is a glittery golden highlight with multicolored sparkles. I love the portability of this palette and it has a good mirror, which is a plus. Rated 4 out of 5 by KristyMcB from Sparkly and pignmented Beautiful sparkly pigmented pallet. The colors are great for a night out. The sparkle is long lasting. Because it is glittery a primer is absolutely necessary to keep the shadows in place. The middle three colors on the second row look stunning in the crease. I have had a lot of compliments. Don't go too heavy handed as these are highly pigmented. It is still possible to create a subtle look. I did receive this pallet as a sample for testing. I tried to take a photo of a subtle look on the lid and its shocking how hard that is, but I attached one of me looking down. Rated 5 out of 5 by E92cristai from Gorgeous palette This palette is a wonderful addition to the JC makeup collection. All you need are mascara and a lippy, and you're good to go! The formulas are highly pigmented, creamy and apply very smoothly. They all have a bit of shimmer, but it's not in your face. They last all day when applied over primer. The packaging is very pretty and feels durable. I received this for free to review, but always write my honest opinion. Rated 4 out of 5 by RDCH from Party Palette with Bold Fun Colors I own a lot of palettes and I can say Juicy Couture’s The Shady Color Palette is high quality. 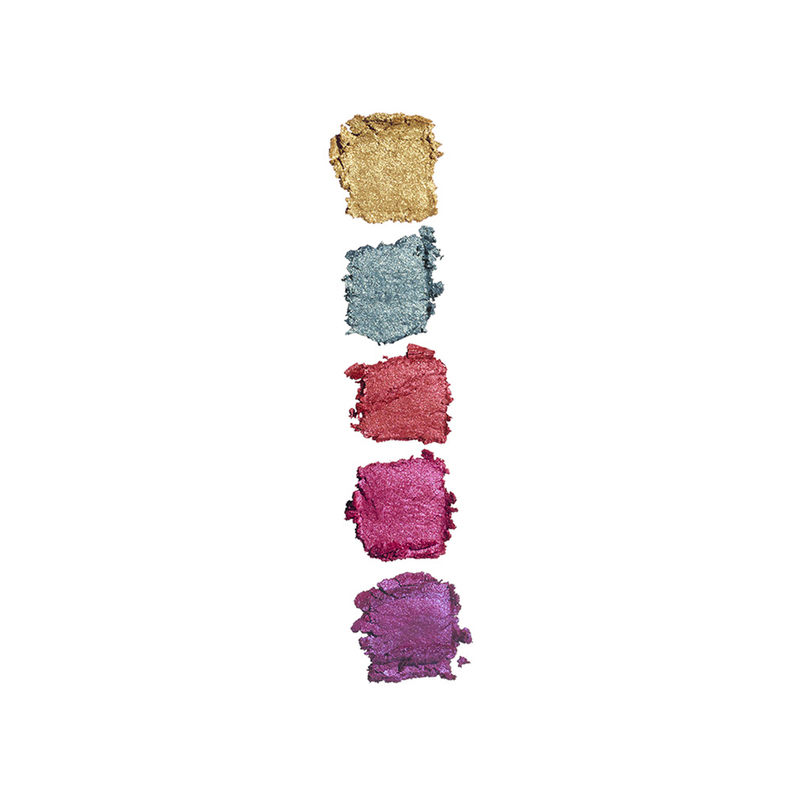 The colors are very pigmented and don’t fade out after mere minutes or hours of use. It goes on smooth and is straightforward to apply with a damp brush. Just remember to use a primer and setting spray for better results! The eyeshadow colors included in this palette are a mix of cool and warm shades. 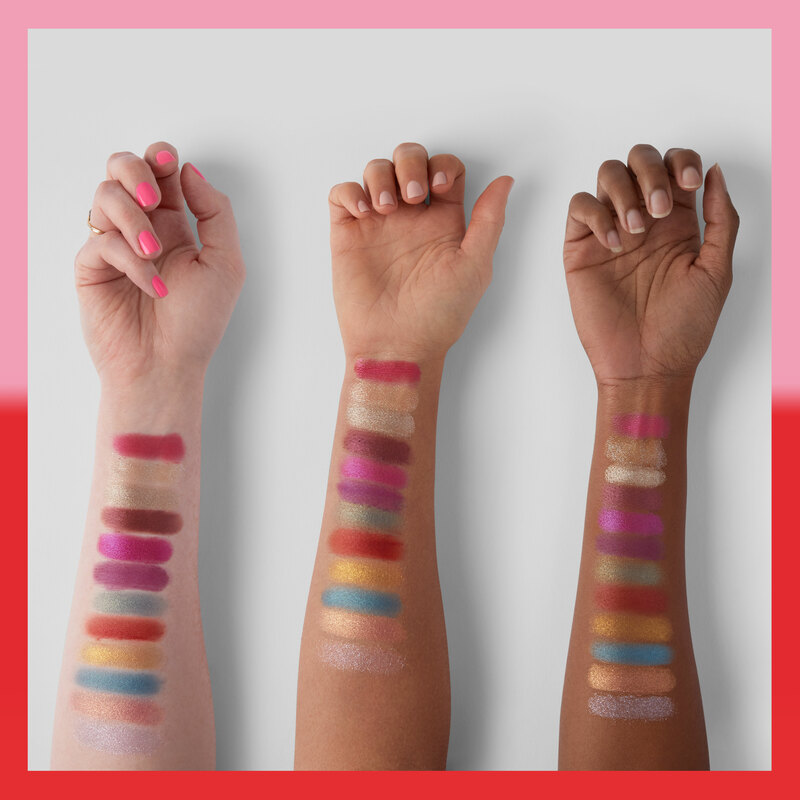 Personally, I have a warm skin tone and I can see myself using some colors more than others. I also feel that the choice of blush and highlighter only works for certain skin tones but not for mine. They are too bright and don’t really match my skin. 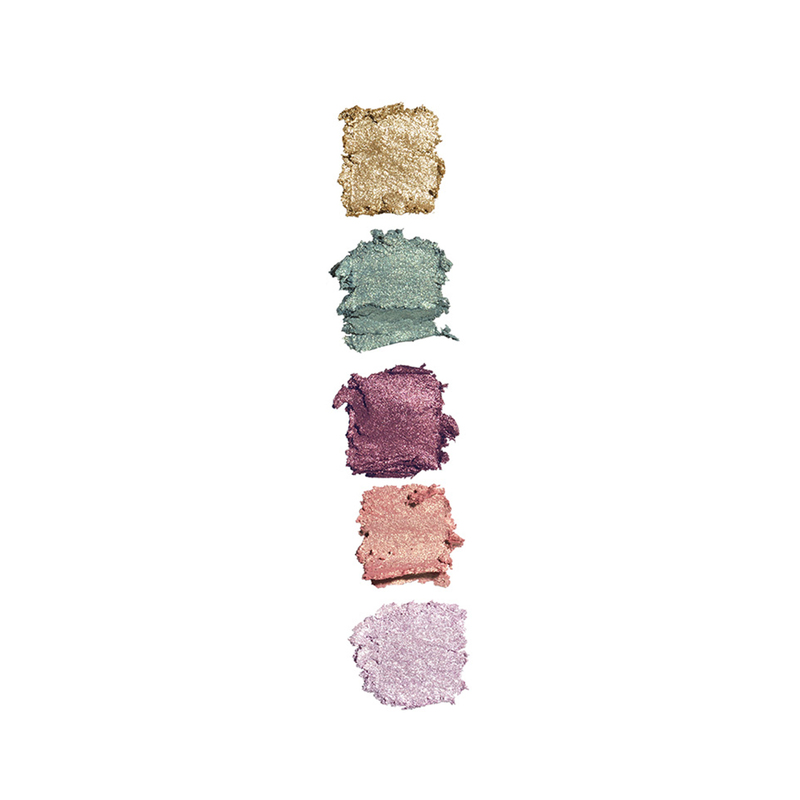 A number of the eyeshadow colors are shiny and have a glimmer to them. Overall, I think this palette has a lot of bold makeup colors ideal for parties and night outs, not so much for everyday use. I wish there were also more transitional and in-between colors for better blending as well. Still, it’s a good one to have on hand for those fun occasions. I received this palette for testing and review.